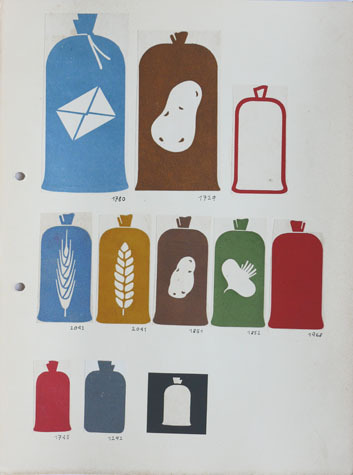 The Isotype 'Picture dictionary' was a working reference file of all pictograms designed by Gerd Arntz. It was begun in Vienna and continually updated. Above is one of the sheets in the category 'Man', dating from the early period at the Gesellschafts- und Wirtschaftsmuseum in Vienna. 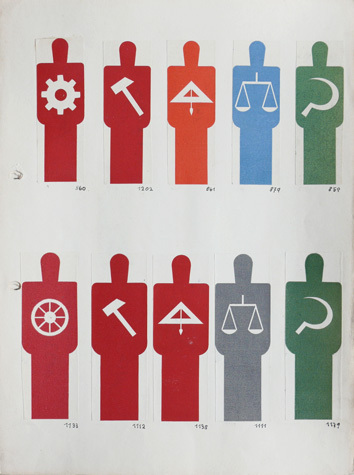 It shows the grammatical aspect of Isotype pictogram design, in which a symbol can be qualified, or made into a kind of compound noun, by combining it with another. The symbols within the human figures here indicate different kinds of profession.